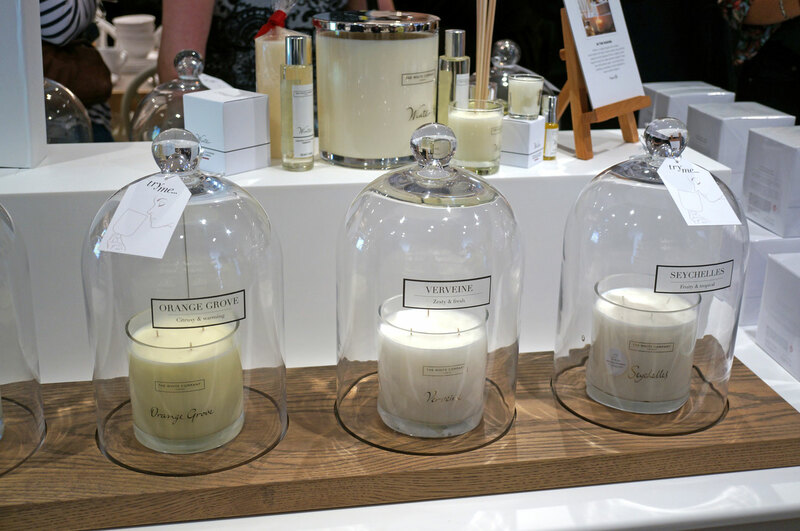 The White Company Norwich Store Opening Event! 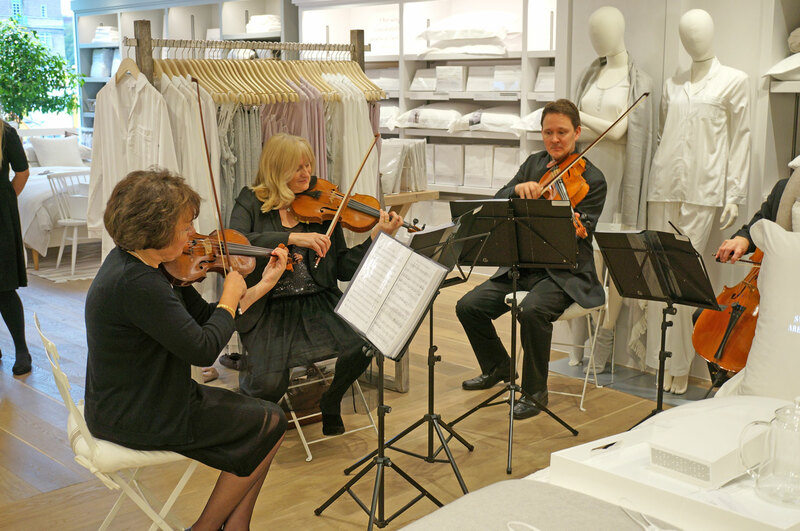 On Wednesday night I had the pleasure of attending the opening event for The White Company’s brand new store in Norwich. I’d never been to one of their stores before so I had no idea what to expect, their website is gorgeous though so I knew I was going to be in for a treat! I took a friend along and as soon as we walked in we’re greeted with bubbly and canapés, and the shop had a lovely ‘new home’ scent. 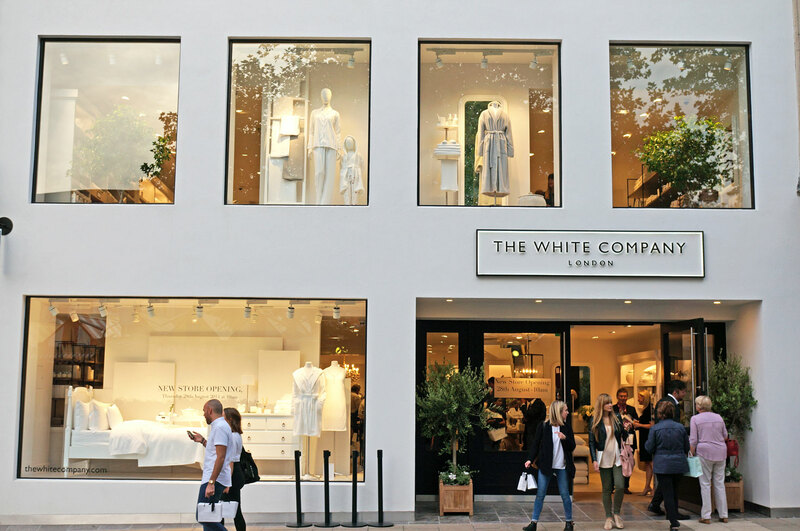 The White Company Norwich offers a large selection of high end homewares, clothing and home accessories over two floors – I was also told this is a brand new concept store for TWC, so this store is the first of it’s kind in the country! 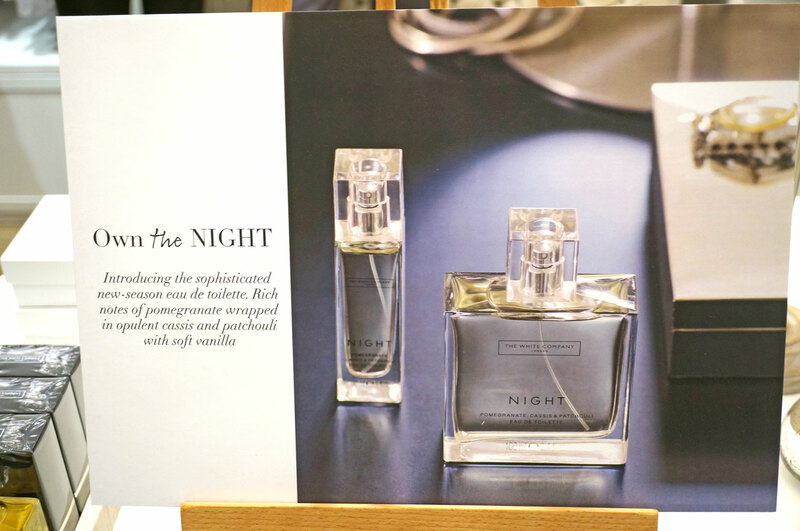 As soon as we entered, I was instantly attracted to the candle and scent section! On the picture above you can see the lovely candles are housed in glass domes – you pick the domes up and sniff inside them to try the candles, the domes hold the scents amazingly well! 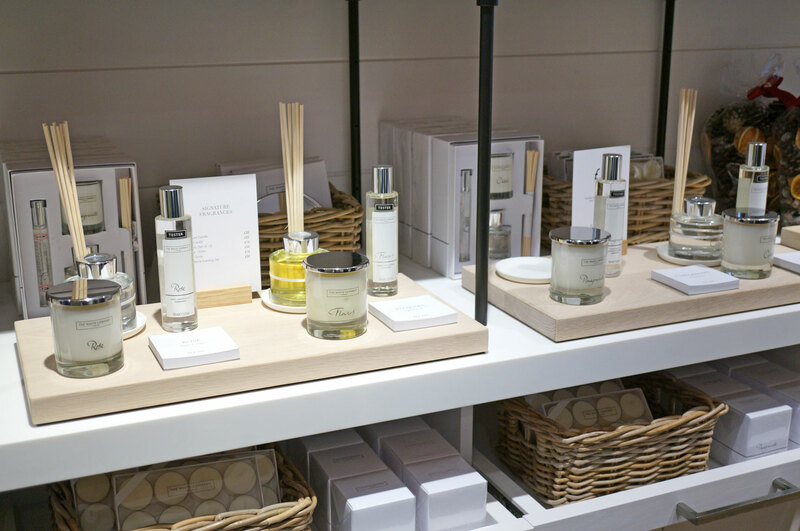 It was also great to hear that their candles are made in the same factory as Jo Malone – the whole company reminds me of Jo Malone actually; everything is of the highest quality, luxurious yet understated, and comes gorgeously packaged too. There was a section in the corner next to the candles for soaps and lotions, I love that they’ve included a sink so you can easily try products out and wash your hands! The layout of the whole store is so open, everything is on display wanting to be touched and tried! 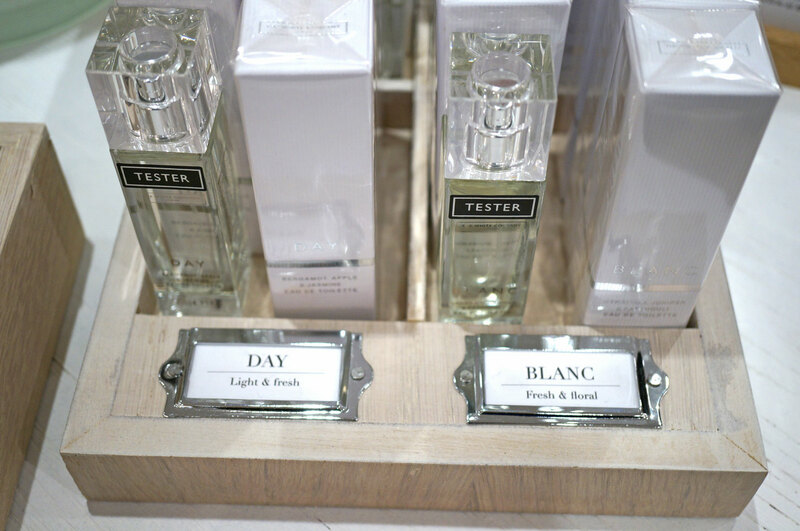 The White Company also have their own mini perfume range, with Day and Night being their newest offerings. Day was a a lovely fresh scent and Night was a gorgeous heavier evening scent. 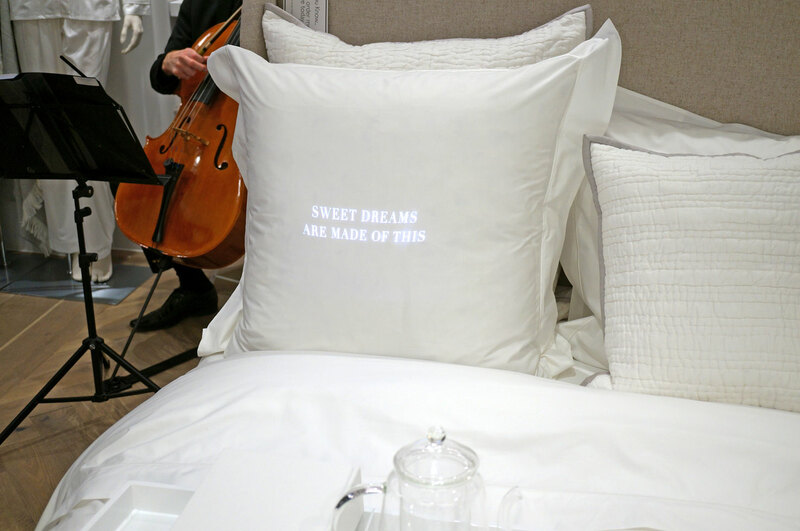 We wandered upstairs to take a look at the bedding and children’s sections, to be greeted by an amazing string quartet! (I must admit when I heard the music downstairs I thought it was a CD, ha ha!) I have a feeling this may not be a fixture though! 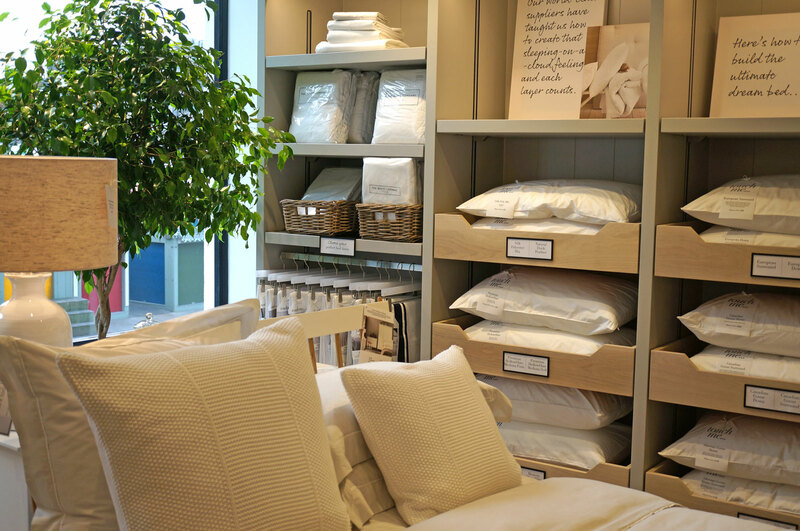 There’s no doubt that The White company have taken time to plan the interior down to the finest detail. 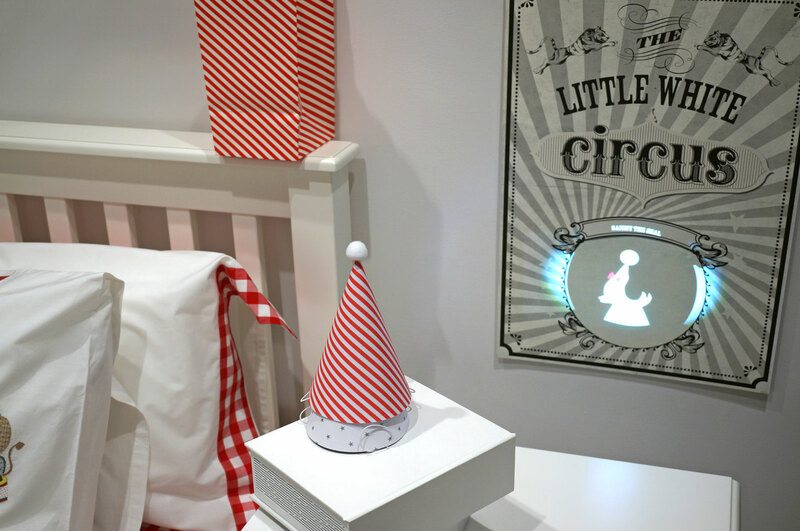 Dotted all over the store you can find amazing lit and animated projections – such a the text ‘Sweet Dreams are Made of This’ on a pillow, and an animated circus scene on a poster next to a child’s bed. So this store really is pretty amazing! And I had such a lovely time! I purchased a Pomegranate home candle and the sweetest ‘Bella’ bunny comforter for my friend who has just had a little girl, I couldn’t resist! 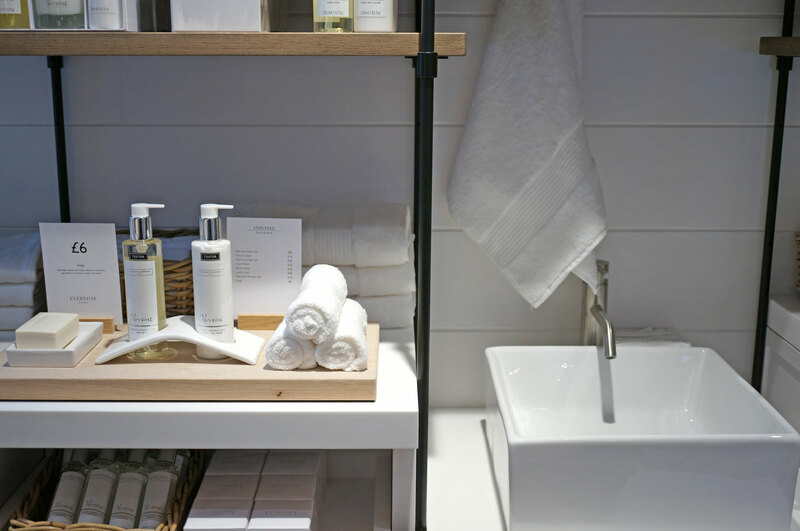 The White Company also kindly sent me home with a lovely goody bag, including a shower gel and soap set, a bar of organic chocolate and a mini Seychelles candle, thanks guys! If you’re ever in Norwich you really must check the store out! Previous Post Juicetou Three Day Detox! Next Post BareMinerals NEW BareSkin Foundation & Blogger Event!